In the sunset of the communist era of Bulgaria IRA Ltd has been founded as one of the first private trade companies in the agro business. The company has built a solid product manufacture uniting farmers, processors and trade experts. 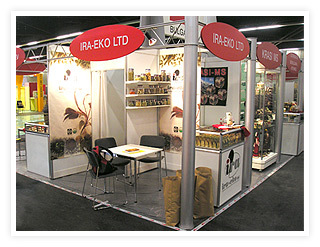 Ten years of experience in the cultivation and processing of the general teas and herbs has been gained as basis to evaluate and create IRA-EKO Ltd.
Keeping the tradition of innovative spirit Mr. Radev sr. created new processing factory, plots for cultivation and strong organization of farmers educated in basis of organic agriculture. 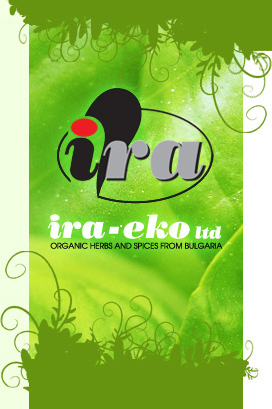 IRA-EKO Ltd has started the Organic link of the Bulgarian agriculture with European markets. Meeting the quality demands and establishing long term business relations with the clients are our top priority. We are regular participant at the BioFach in Nuremberg so you are always welcome at our stand to meet us.